Photobucket has rolled in some major changes, and users aren’t happy. The site recently changed its terms of service, and it’s caught many of its users off-guard. Photobucket is an image storage site that allows its members to store images and then display those images on other websites, including online forums and e-commerce sites, such as eBay and Amazon. That was until June 28, 2017, when new policies went into effect. 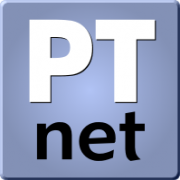 The new rules immediately eliminated the ability to provide a link to images hosted on Photobucket or embed images, such as online forums or social media, unless a premium account was purchased. This caused a number of listings on eBay and Amazon to display a message informing users that third-party linking was only possible if the user upgraded their account. In order to to this, the Photobucket user must purchase the most expensive “Plus 500 Plan,” which provides 500GB of storage space and allows linking and embedding and costs US$399.99 annually. Furthermore, under the new rules, if anyone using a free account exceeds the 2GB capacity, that person is immediately locked out of their account unless they become a “Paying Member.” That person doesn’t have an opportunity to remove images to get under the 2GB limit. The account is locked, and the only way to unlock it is to upgrade to a paid account. Some Twitter users are calling this policy change, “Ransomware,” which refers to hackers who encrypt computer files and don’t provide unlocking tools unless the victim pays money. What is upsetting some users is that the only plan that allows for linking and embedding on external sites is the costliest plan - US$399.99 cost of the plan, as well as how it was rolled out to users. While the company spelled out the changes in its updated “Terms of Service,” it isn’t clear from the link on Photobucket’s home page that it would be making radical changes to its pricing plans and account privileges. Companies make changes to their “Terms of Service” frequently enough that most people don’t read them, if they ever read them at all. Photobucket failed its members by not making clear in the link that the changes would have immediate and widespread impact. I would guess that Photobucket saw that many people signed up with the sole purpose of posting items for sale on eBay or Amazon. That type of user generally isn’t interested in joining or creating a community, and Photobucket sought to put an end to it. But this isn’t only about the amount of storage space that the photos consumed. With the cloud today, storage is secondary. It’s about bandwidth, and what Photobucket pays to serve photos. Stay with me on this one. As those who stream movies on mobile devices, it’s all about bandwidth today. A company pays for the amount of data that it serves, and Photobucket’s likely was paying increasingly high costs for bandwidth. Most of its non-seller customers probably occasionally shared links to photos and online albums that probably generated an average amount of bandwidth use. Professional photographers might use more bandwidth, because of clients viewing photo samples. A single Amazon merchant could generate a tremendous number of page views per day for each product, depending on what’s being sold. Most Amazon merchants are selling more than one product. Now, multiply that by 50 or 100 eBay or Amazon merchants each selling between 10 and 50 products, and you can see how the company’s bandwidth bill could rise sharply. Also keep in mind that most product photos today are much larger than the thumbnail, which means more data transferred. This clearly goes against the spirit of why Photobucket was created, and on the Internet, if something is made available for free, any user is entitle to take advantage of it. Sellers obviously have. However, allowing linking and embedding only on the most costly package clearly is an overreaction by Photobucket to what it perceives was misues of its service. 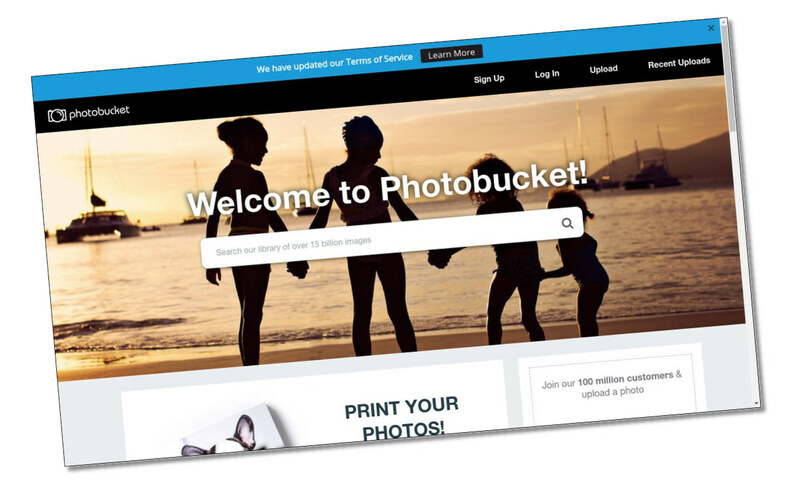 Photobucket needs to rethink its appproach and create pricing plans that don’t punish its longtime users and force them to “upgrade” to a $400 a year service in order to share a photo with friends and family. In response to the uproar over the new pricing plans, Photobucket issued a statement on July 6, 2017, to address the policy changes. Read it here. Photobucket said it has 100 million registered users, more than 15 billion images stored, with 2 million daily uploads and 60 billion photos accessed monthly. Photobucket CEO John Corpus said 75% of Photobucket’s costs originate from non-paying users leveraging third-party hosting. Photobucket should create seller packages. From its statement, Photobucket already was able to identify high-volume users. This would allow the company to enforce its pricing while not damaging its relationship with its longtime users. High-volume eBay and Amazon merchants should be forced to pay more. Professional photographers could be moved to an intermediate package, although professional photographer should have their own site and store their photos on their own site. If they don’t have a hosting package that provides enough storage space, then they should pay for hosting on Photobucket. That leaves amateur photographers, wno would like to share photo albums with friends and family and in online forums. It should be simple to create several packages that would allow embedding and linking with reasonable limits. There is no reason to punish amateur photographers because sellers have overrun your business.